The Miju Wools website has been designed by the creative media team known as Quoakle. The website was created in 2016 using a WordPress responsive template called Divi. The Miju Wools website is closely linked to Gloucester-based Moxham Books. Quoakle has a reputation for affordable website promotion as well as friendly support. Quoakle Director, Nigel Steele, continues to be inspired with creative ideas. 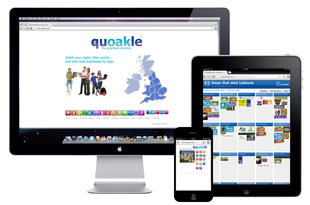 In 2013, the Quoakle team began developing the popular UK Days Out Directory – “Great Days Out”. The Creative HQ is based in Churcham, a little down the road from Gloucester, UK. However, some of the team work from locations as far apart as Brighton, Swindon and Watford. We have recently taken on some website promotion work with a new organisation for parents – Parent Power. We are also pleased to work with a number of charities across the UK and have more recently been working with clients as far away as New Zealand and Australia, such as Artificial Grass Sydney , Public Speaking Courses Sydney and Justice Reach . Quoakle offers a wide range of quality web solutions at affordable prices. We have recently finished our first e-commerce project – Working Dog Food. However our main work remains the popular graphical directories and business “brochure” websites. If you are wanting a new website created or an old one refreshed and revamped, the Quoakle team can take you from the initial design stages right the way through to marketing your website effectively within Google.